Meagan Work is currently being held on $250,000 bond. Although she is not yet charged with murder, authorities believe she is responsible for the death of her toddler son. 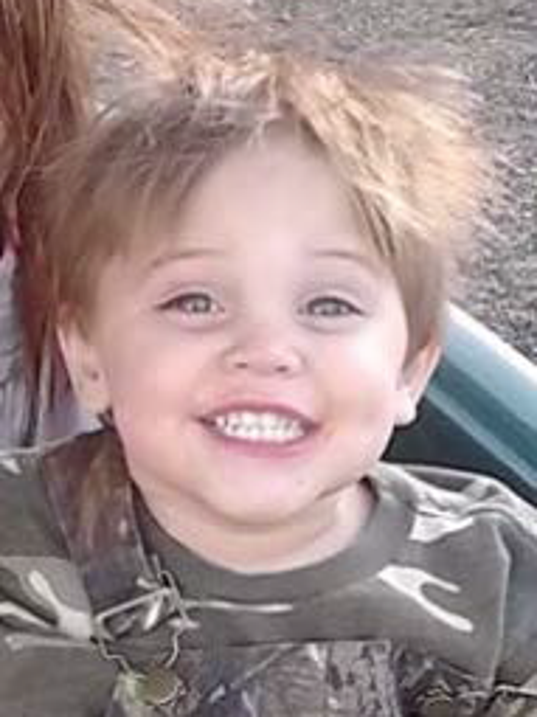 The remains of two-year-old Colton Turner were discovered Friday, September 12. Although the cause of death has not been determined, Meagan was reported for child abuse on numerous occasions. Despite the fact that he was last seen in July, Colton was not reported missing until September 10. Authorities said they received a tip from a family friend, who had not seen the toddler in months. Meagan Work was eventually located and questioned by authorities. However, Colton Turner was nowhere to be found. In her first police interview, Meagan said her son was kidnapped from a hotel parking lot. She later stated that “she gave Colton to another couple.” However, she did not know their names. Authorities also questioned Work’s boyfriend, who was incarcerated in San Saba County on unrelated charges. Initially, Michael Turner claimed he and Meagan had indeed given Colton to another couple. However, he later admitted that the toddler was dead. As reported by My Fox Austin, Meagan and Michael eventually admitted that Colton died in their care. The two also admitted burying the toddler in an attempt to cloak his death. Meagan Work said her son suffered a seizure on July 7. Although he was reportedly “not acting himself and… not walking,” the two put him to bed. The following morning, Colton was dead. Meagan and Michael both admit the toddler’s head was injured. However, it is unclear who or what caused the injury. As the two were concerned “they would get in trouble,” they made the decision to bury Colton in the woods. Michael eventually admitted that he dug the grave and buried the toddler while Meagan waited in the car. Meagan and Michael are currently charged with tampering with evidence. However, further charges are pending. As reported by WFAA News, Texas Child Protective Services received a total of four complaints against Meagan Work. Although two complaints were “resolved and closed,” two remained open at the time of Colton Turner’s death. A CPS spokesperson confirmed the agency is conducting an internal investigation to determine why Colton was not removed from his mother’s care. KVUE News reports that Meagan was no stranger to the system. At the age of 13, Meagan was placed in foster care — as her own parents were deemed to be unfit. Her mother, Tayleen, has an extensive criminal history. Tayleen’s convictions include cruelty to animals, drug possession and theft. Her father Sidney also has a criminal past, which includes suspicion of sexual abuse. According to reports, Meagan was eventually diagnosed with numerous mental health issues including adjustment disorder, anxiety and depression. She also has an extensive criminal history, including convictions for assault and cruelty to animals. At the time of her arrest, Meagan Work was reportedly homeless. She is also approximately four months pregnant.